Buy any 5 or 10% in any of these yearlings mentioned below and you get the chance to a buy 2.5% share in Houdini The Great for an extra $1100. All going well he will be aimed at some great prize money races towards the back end of Spring with a possibility of running in the 1800 Magic Millions Cup in January 2017, worth $1 Million! CONTACT BRAD to find out more. Spicer Thoroughbreds are pleased to present our latest offering, best described as a ‘beast’ of a filly. 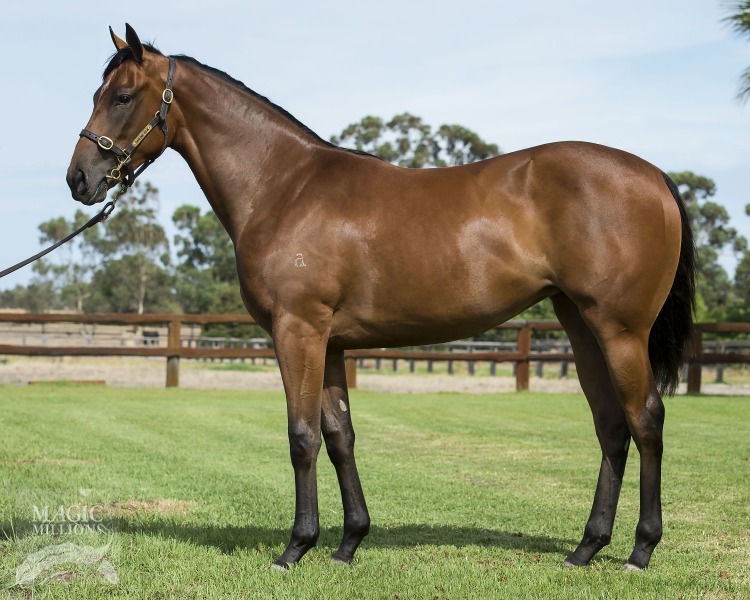 She is by High Chaparral out of the Encosta De Lago mare Dalkeith, and there isn’t too many times when it is possible to purchase a filly that walks and moves like a ‘machine’ as this girl does. For those reasons she was very much a ‘must have’ purchase for us. She has all the strength of a colt, a trait that will hold her in great stead against inferior-bodied fillies when she reaches the racetrack. 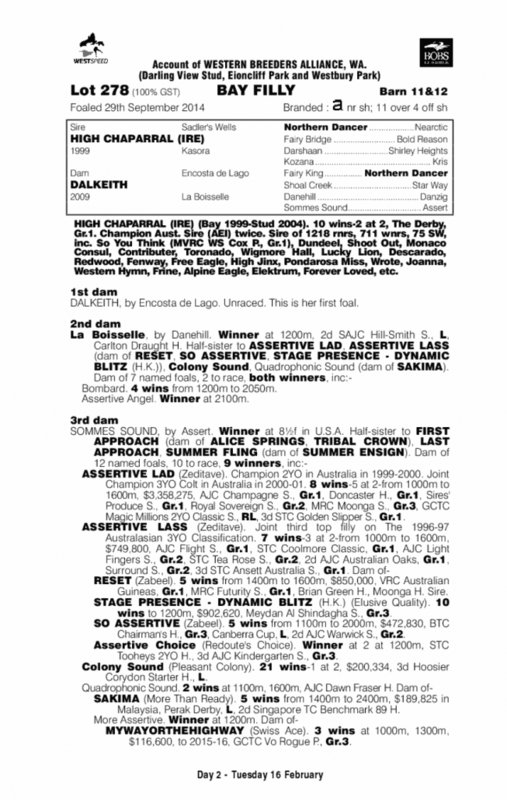 High Chaparral has proven himself to be a high-class sire in the Southern Hemisphere, leaving such champions as So You Think and It’s a Dundeel, with a host of Group 1 horses in amongst a long list of winners. We are really excited by the future of this filly and can’t wait to see her strut her stuff in some of the later juvenile races, and train on to be a lovely 3 year old filly. She will head into the stables of Chris Waller, who has taken all before him over recent seasons, and will make sure our filly gets every opportunity to reach her ultimate potential on the race track. She is eligible for the BOBS bonus race series in NSW for the 2 & 3 year olds, which will make a huge difference to our filly’s prize money pool.